Gold in Arkansas was first reported by Spanish explorer who travelled through the state in the 1500’s. Little interest was given to these gold discoveries due to their limited quantities. It was again reported that small amounts of placer gold were found early settlers to the area in the early 1800’s, but once again very little interest was given to these discoveries. Gold prospectors in recent years have explored the streams that drain the Ouachita Mountains, a mountain range west of Little Rock that extends into Oklahoma, where the early reported gold discoveries were said to come from. Only a very limited quantity of gold has ever been found, certainly nothing to attract commercial interests. Even among recreational prospectors, very little attention is given to this area for gold. Arkansas does have another natural treasure that attracts prospectors…diamonds! At the Crater of Diamonds State Park, visitors can search for diamonds and other precious stones, and can keep anything that they find. The park is situated on the surface of an ancient eroded volcanic crater that brought diamonds to the surface millions of years ago. It is located near Murfreesboro, Arkansas, and it is the only public diamond site that you can actually keep the precious stones that you find. Unfortunately, panning and for gold in Arkansas just hasn’t been very productive. The truth is that Arkansas is probably one of the poorest states to try and pan for gold. 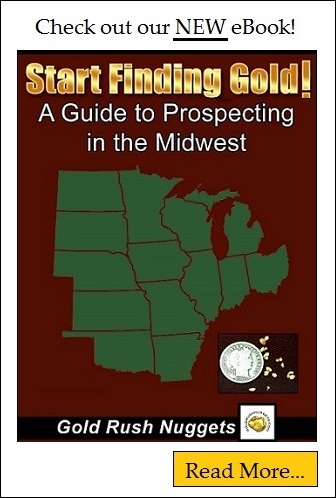 Prospectors may have more luck searching a few of the surrounding states that have more substantiated reports of placer gold, or focusing their efforts searching for diamond, crystals, relics, artifacts, and all the other good things that Arkansas has to offer.